Project Alleycat is a community project to promote interest in and revitalise Tewkesbury’s historic alleys. 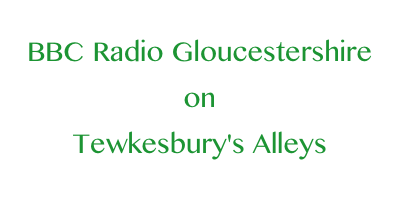 Welcome to the website of Project Alleycat, a community group with the aims of promoting interest in, and revitalising the historic alleys of Tewkesbury town. Here you will find information about the history of the alleys, dating back to the 11th century, the geography and the work of Project Alleycat since its public launch in May 2016. We hope you will enjoy reading about the alleys, but will also want to visit them if you do not live in Tewkesbury.